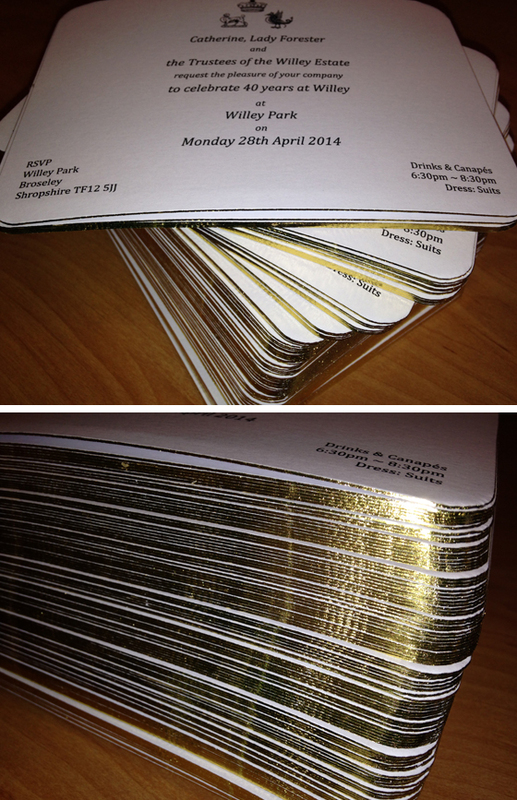 At Stationery Direct we can accommodate a wide range of bespoke printing requests in-house. For example, these A6 gilt edged invites with thermographic printing (raised ink) which turned out really well, as you can see. If you are looking for something a little bit different or special, please get in touch.